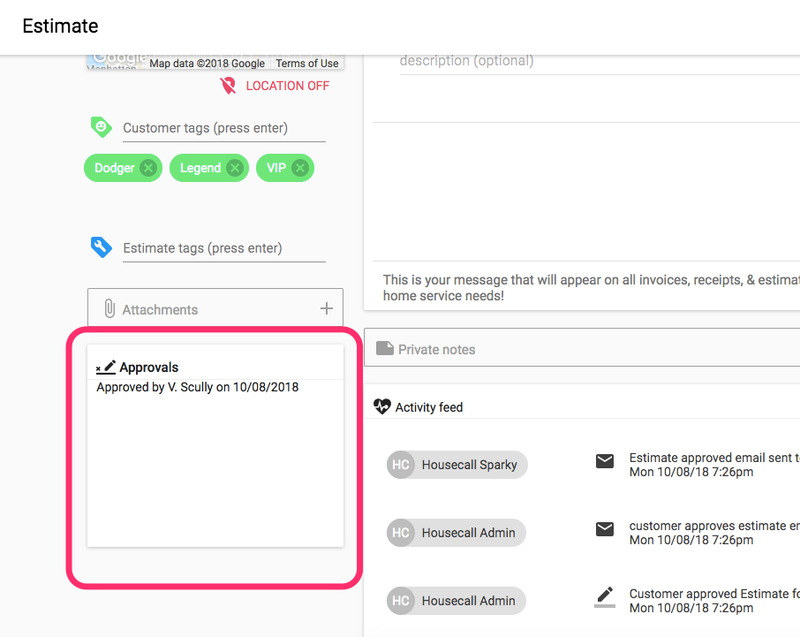 There are multiple ways for an estimate to be approved in Housecall Pro. The customer can approve it in person and online or you can manually mark it as approved. Click 'Approve estimate' in the drop down. The second way to get your customer or prospect's approval on an estimate, is by sending an email. 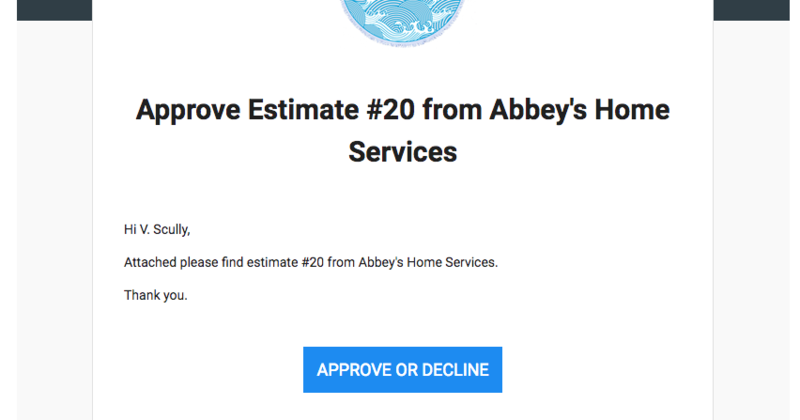 They will have the option to approve or decline the estimate directly from that email. If your customer verbally approves the estimate over the phone, you can manually approve the estimate from the web portal. Simply click on the 'Approval' action button at the top of the Estimate Details Page and select 'Approve Estimate'. You can also decline the estimate on the customer's behalf by clicking this button. 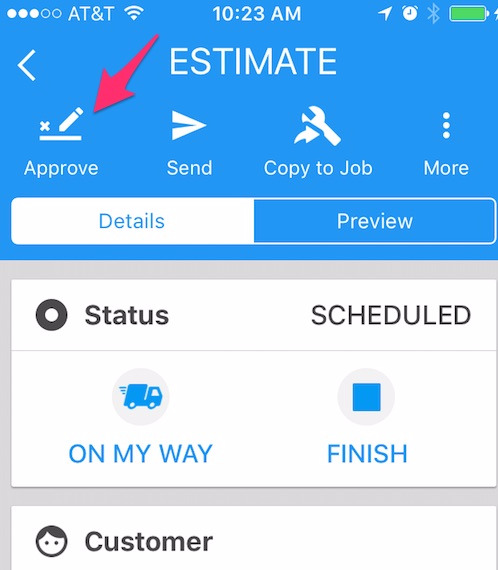 To view an estimate's approvals, scroll down on the Estimates Detail Page to the 'Approvals' section on the bottom left of the screen.